July 14, 2016 at 8:22 pm. Part 1; ‘Holiday activities on Loch Ness’ explored the various ways in which to take advantage of Loch Ness. That famous stretch of water that makes up part of the captivating view from the luxury of Aldourie Castle. This second instalment continues your peaceful, always scenic and sometimes adventurous journey. As a group of guests at Aldourie, you’ll utilise the unique and beautiful Scottish natural landscape that is – very literally – on your doorstep. When did you last review your teambuilding calendar? Do you go back year-on-year to the same hotel for your teambuilding experience with your company or work colleagues? 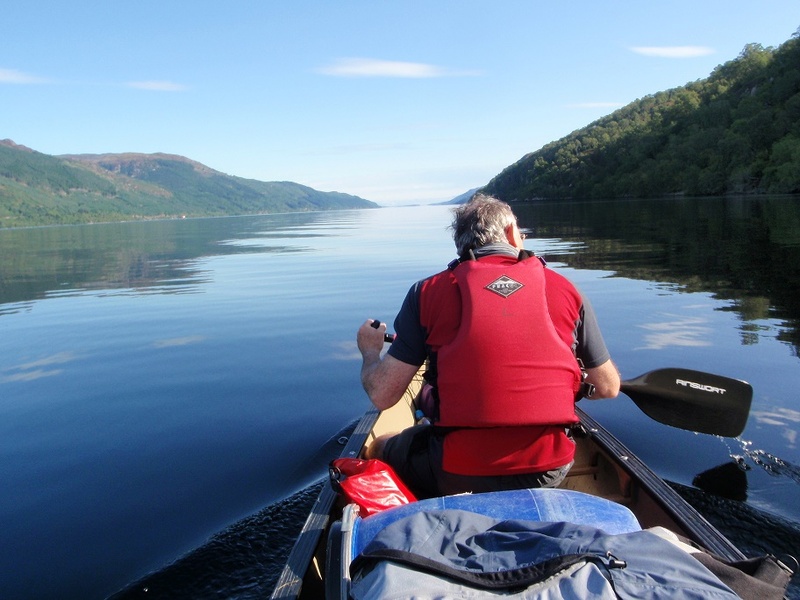 Here are two activities you can enjoy with team members on Loch Ness in the Scottish Highlands. Both offer a completely unique experience of Loch Ness but let you enter into the spirit of teamwork, competition and fun all at the same time. Have you ever zorbed on water? Water zorbing is a (fairly) recent craze to hit the Highlands that involves walking on water (yes, you read correctly) in the safety, and dare we say, comfort Usually performed on flat ground in a large transparent ball but sometimes on a slope. Zorbing lets the rider experience the freedom of weightlessness and speed, igniting their confidence and letting them embrace their inner child. They say do one thing a day that scares you. 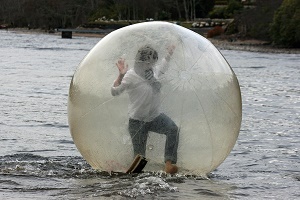 If the idea of zorbing on Loch Ness gives you more goose bumps than bumping into Nessie would do too. 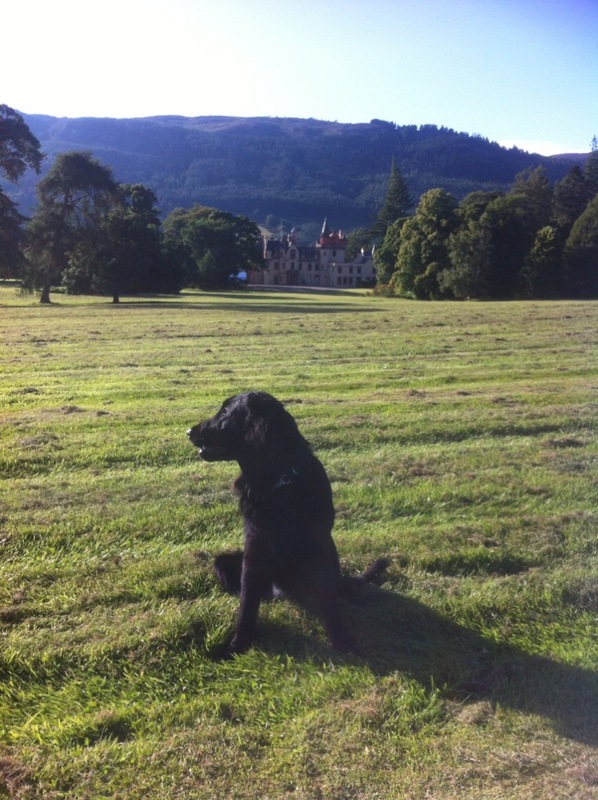 The team at Aldourie Castle are always here however to encourage and support. If, on the other hand this teambuilding sport in the Scottish Highlands sounds like a lot of fun then please don’t hesitate to book your company activity day at this Scottish Castle Estate – we welcome corporate groups at any time of year. If the idea of canoeing with colleagues leaves you a little out of your depth then an exclusive stay at the only liveable castle on the shores of Loch Ness in Scotland may give you a different perspective. It is during private hire corporate teambuilding stays that groups of colleagues learn how to be a team and enjoy it at the same time rather than feeling as though they’ve been dragged along to another activity day in another location that offers nothing different from the last. 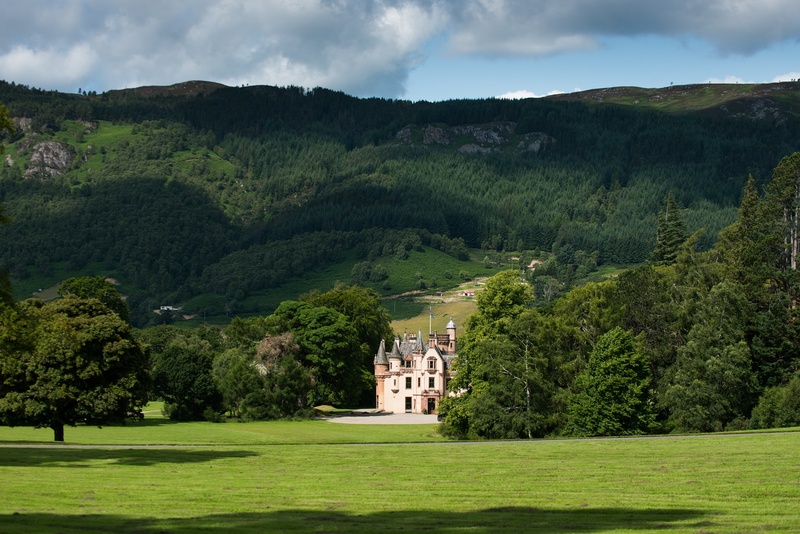 Locations like Aldourie Estate in the Scottish Highlands bring corporate teambuilding to a new level. Step into a canoe from our private pier and within moments you’ll be learning a new skill whilst witnessing one of the world’s most captivating areas of natural beauty. When you think of activities you can enjoy in Scotland what springs to mind? Walking. Trekking. Cycling. What about swimming? Where there’s a highland hill there’s likely to be a loch down below so swimming should be just as popular as walking, right? Perhaps not in the Scottish Highlands. The weather plays a huge part; walking is a traditional highly enjoyable hobby during every season whereas swimming is mostly partaken in the warmer, summer months. You’ve dived in at the deep end by booking to stay at a spectacular and unique exclusive use property so this is the ideal opportunity to experience a breath-taking activity that not everybody has tried. Wild swimming lets you explore secret coves, hidden waterfalls and, whilst you’re in the vicinity of Aldourie Castle, majestic lochs. Let go of stress, breathe in that fresh Highland air (it’s good for you, honest) and be at one with nature; all before breakfast. 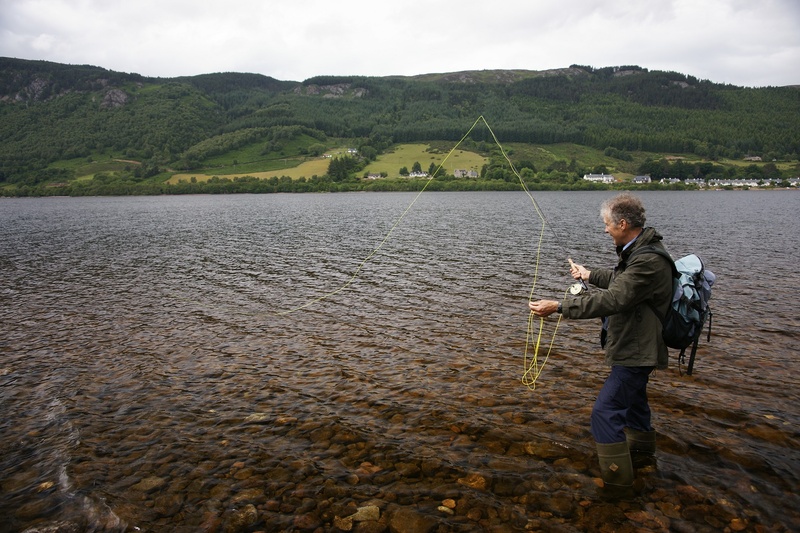 Experience fishing on Loch Ness when you stay with family or friends or even entirely on your own at the only castle with bedrooms on this long, wondrous shoreline. If you’ve never taken yourself off to the nearest waterway with a packed lunch, a rucksack of maggots and a rod then there’s no better time to do just that than during an exclusive use stay in a Scottish Castle. Likewise, experienced anglers will not be held back when they have the most picturesque paradise at their fingertips. Whether you’re holidaying with friends or part of a multigenerational family holiday, escaping the group for a while and taking some “me time” to go fishing on Loch Ness can be rewarding in more ways than you think. 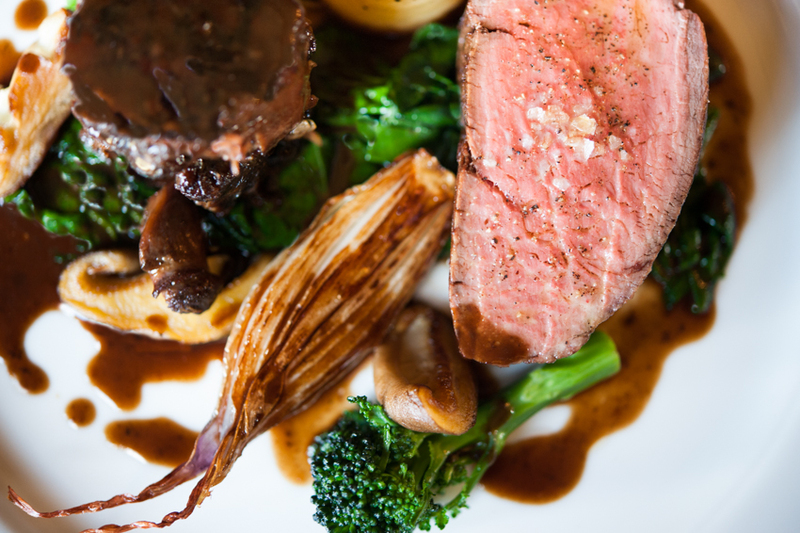 Not only can you catch your own dinner (why not ask Aldourie’s chef will gladly make a creative dish out of your day’s catch) but you will soon discover the pleasure of your own company out in the wilderness of the Highlands. 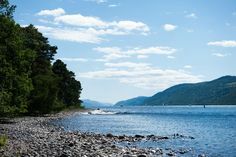 Though the Loch Ness shoreline is only minutes from the luxurious and homely Castle the freedom is all-consuming and the air as fresh as the water itself. Ever had that dream where you’re out on your own in the middle of a calm ocean with nothing but water for miles and miles? How does it make you feel? Alone? Frightened? Free? 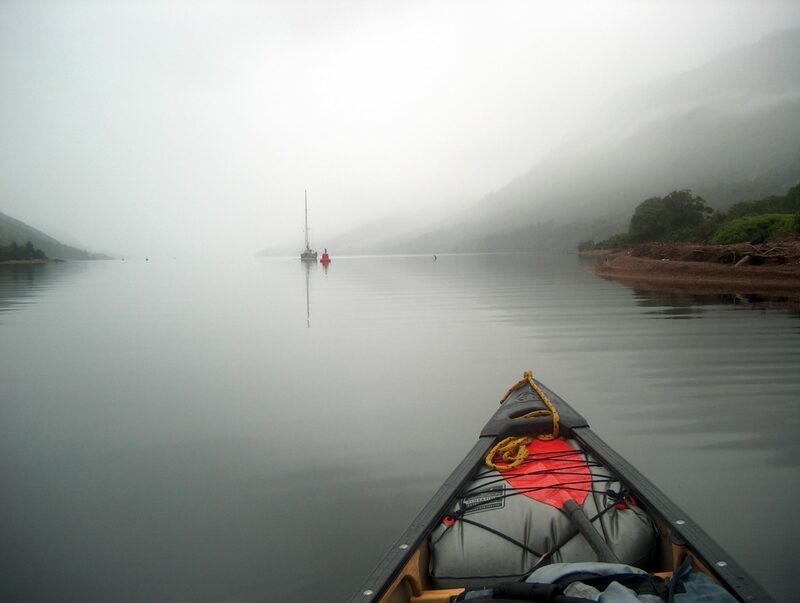 There’s an activity you can experience on Loch Ness that could definitely be described as dreamlike; canoeing on your own. When there’s no one to chat to then there’s no distraction. Out in the middle of Loch Ness you can hear yourself think and breathe and give attention to the beautiful Highland landscape that, though thoroughly enjoyable with others by your side, becomes majestic in its power to transport you to another world; Scotland’s very own Narnia or a dreamlike state of mind. 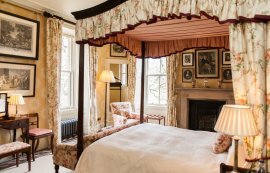 It’s fair to say that there is a never-ending list of activities to enjoy on the famous stretch of fresh water that glides passed Aldourie’s drawing room window, any moment of every day. From group fun to secluded soul searching and romantic jaunts, water can make a luxury holiday even more exciting and exclusive. 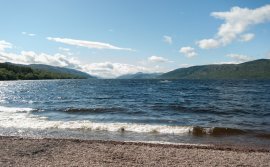 Just think of the special photos you’ll capture and the fresh air in your lungs if you need any more persuading, although after reading these two blog posts we’re sure you won’t require any further convincing to set sail on your own Loch Ness adventure in the beautiful Scottish Highlands. July 1, 2016 at 8:39 pm. What’s so special about Loch Ness? The lure of water itself, the freedom of its restless current? Or could it be its transient beauty? It’s a place where not one moment will ever be the same. Loch Ness is always on the move yet it retains a stillness that calms troubled or wandering minds. Holiday on Loch Ness and feel your stresses float away. If you read on you will discover many more ways to achieve this other than meditating on a raft. Though, we could definitely arrange that for you. You could be part of a family reunion or a multi-generational holiday party. Maybe your group of friends share the same interests such as golf, cycling or walking. Or simply want to go it alone and hire a Castle on Loch Ness for the inspiration to write your novel, complete your portfolio of landscape paintings or take some time out from a hectic work schedule. Whatever your reasons for coming to stay here in a beautiful Castle on the shoreline of the majestic Loch Ness, the great Scottish outdoors beholds something for everyone. Take a look; it’s a simple picture and yet the opportunities for fun, experience and adventure are endless. We just advise that you pack your imagination when coming to stay at Aldourie. Should you run out, our creative hospitality team will always be on hand to recommend a host of activities. 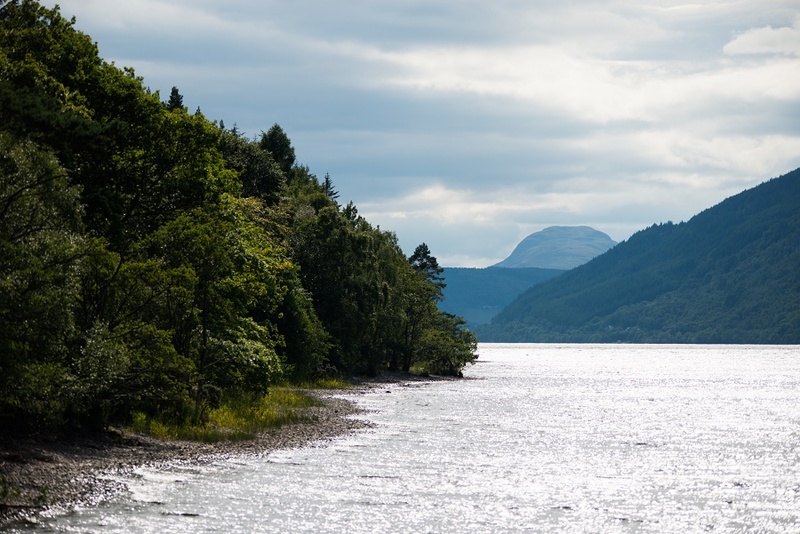 There are many reasons why a family would choose to visit the famous Loch Ness with all its diversions and areas of interest, its history and mesmerising beauty. Not to mention the excitement for children visiting the home of folklore celebrity, Nessie the Loch Ness Monster. After a leisurely morning taking breakfast at the Castle during your exclusive use stay with us let Aldourie’s team book you a cruise on Loch Ness. This will take you up close to some of the Scottish Highlands most historic, cultural and wondrous landmarks. Urquhart Castle is a must-see during your family trip on Loch Ness. 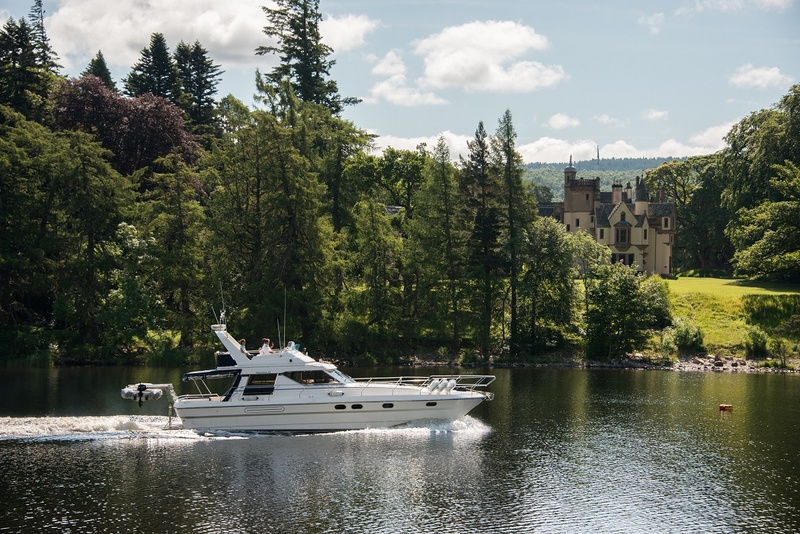 Take your boat for up to 12 people from the private Aldourie pier on the exclusive Highlands Estate. Spend a couple of hours admiring the views, learning Scotland’s most fascinating history and enjoy a spot of lunch en route. Venture forth and stop off at the Moray Firth, one of the most important places on the U.K. coast for observing dolphins and whales. Given a nod to its scenic brilliance the coastline has been voted one of the most picturesque by National Geographic. With direct tours available from nearby Inverness, don’t miss out on a one of a kind family experience. The most common species are the Bottlenose Dolphin and the Harbour Porpoise. There have also been occasional sightings of Common dolphin and Minke Whale. Friends holidaying in Scotland want to get involved in their surroundings and experience something together that will make for lasting memories. 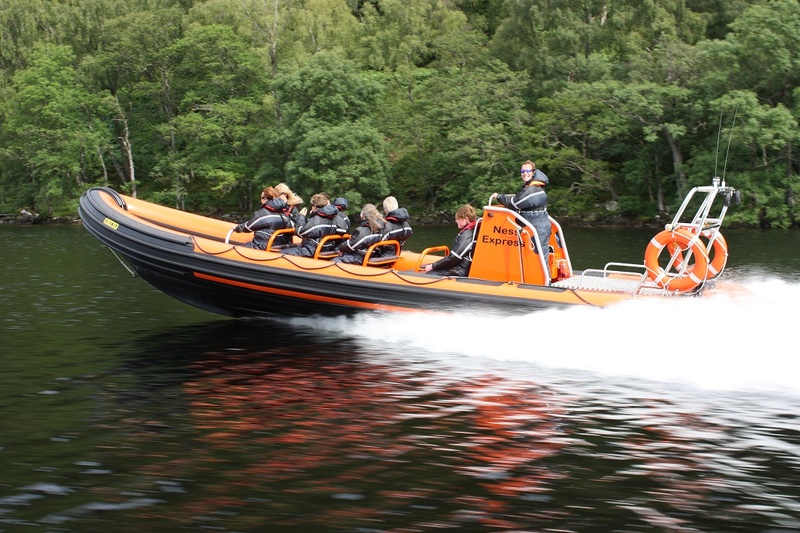 The Nessie Hunter is definitely a trip on Loch Ness we highly recommend to any group stay at the private Scottish Castle. Be led astray by the expert hunters on your personal speed boat and follow the lure of the waves to try to catch a glimpse of the iconic Monster. Be part of Aldourie’s fairytale and let your imagination take you into the heart of Loch Ness. If during the week your group is hoping for something a little more relaxed, you can take a rowing boat from the Aldourie marina. This can be arranged by the hospitality team at Aldourie Castle. Experience Loch Ness and its many scenes from the comfort and joy or your own personal space. Feel free to take in the hilly surroundings in your own good time. We’ll let all this information on Loch Ness sink in until Aldourie’s next blog post. 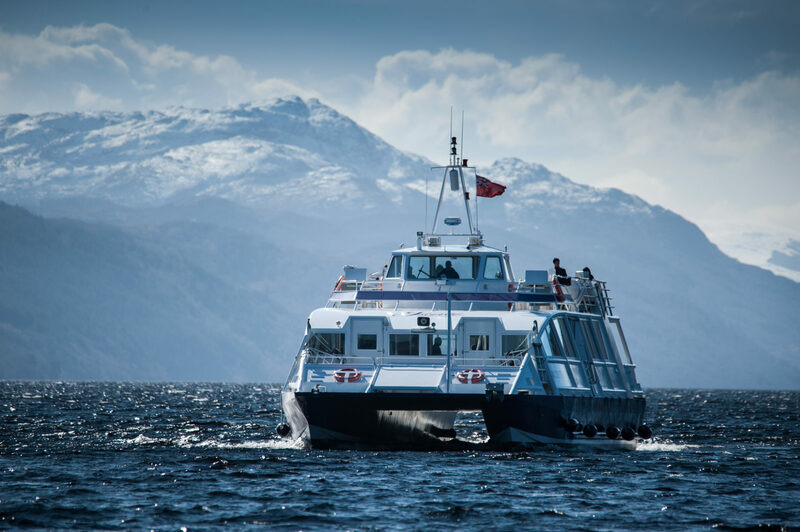 This second instalment will feature even more fun activities to experience on the most famous loch in the world. May 6, 2016 at 5:49 pm. Imagine a spring break or half term holiday where your kids will never once be bored. Imagine an exclusive use Castle on the shores of famous Loch Ness. 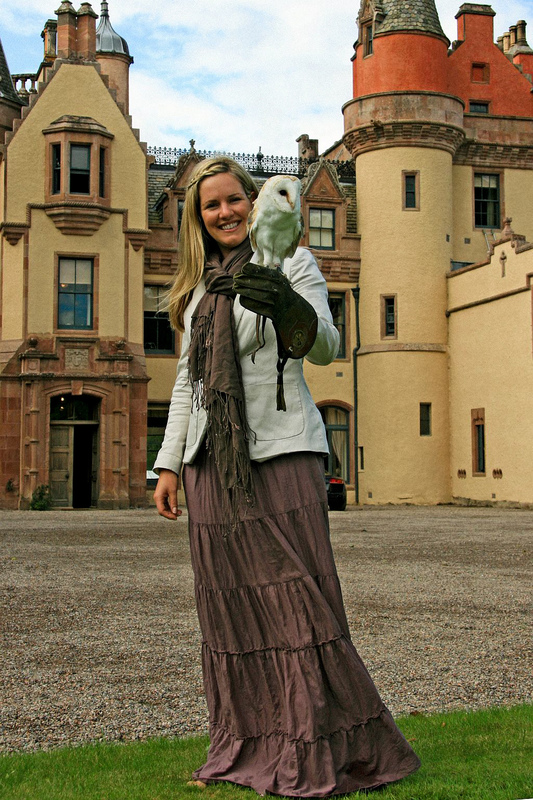 Here we host exclusive luxury family stays and endless things to do for young and older guests; from toddlers to great-grandparents there are endless things to do in a Castle with acres of flat Highland grounds. 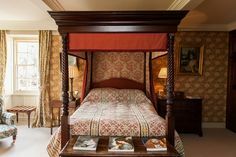 An exclusive use stay at a large Estate such as Aldourie Castle means not only living in the private property as your own home for a weekend or longer, it also offers opportunities you may not come across with other types of holiday rentals in Scotland. One such opportunity to take advantage of here is the vast choice of activities available for both adults and children, within and off the Castle grounds, helping to vary your house party experience and make the decision to choose to book a multi-generational holiday an easy one. Aldourie Castle has links with some of the finest distilleries in the Scottish Highlands and can arrange tours to close by favourites or offer personal whisky tasting here in the distinct and authentic environment of the Castle. Pass an evening sipping the favoured Scottish tipple in the Library whilst other members of your family enjoy a game of Billiards or take a walk to the marina. 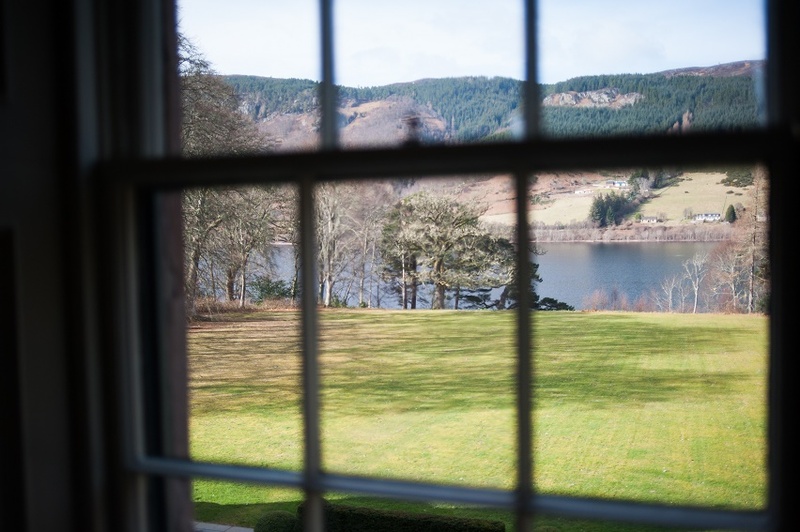 Loch Ness is not just a pretty picture seen from dozens of windows at Aldourie; it’s also an opportunity for kids and adults alike to experience endless adventure. From romantic boat rides to whizzing past the Castle in a speedboat to cruises with the whole family taking in the surrounding sights. The adventurous among you might wish to book the Nessie Hunter for a day trip on Loch Ness to go down in family history. 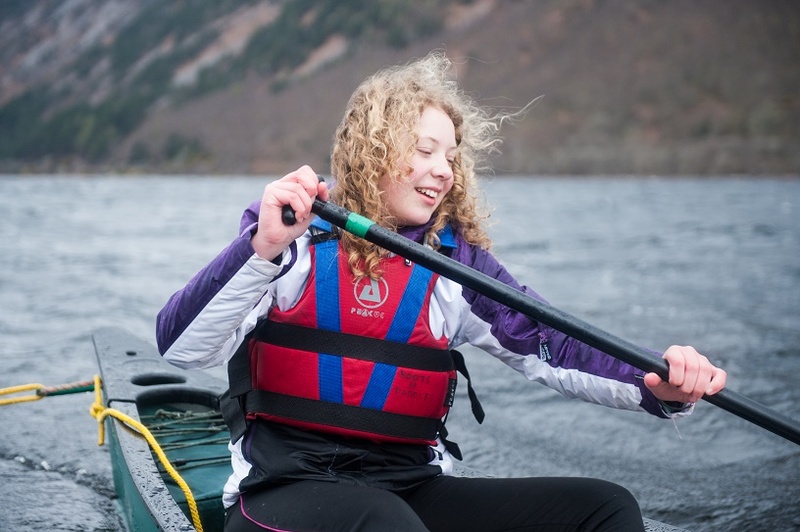 Children also have the vast loch at their disposal for endless water sports, with canoe trips and zorbing ever more popular ways to enjoy Loch Ness. 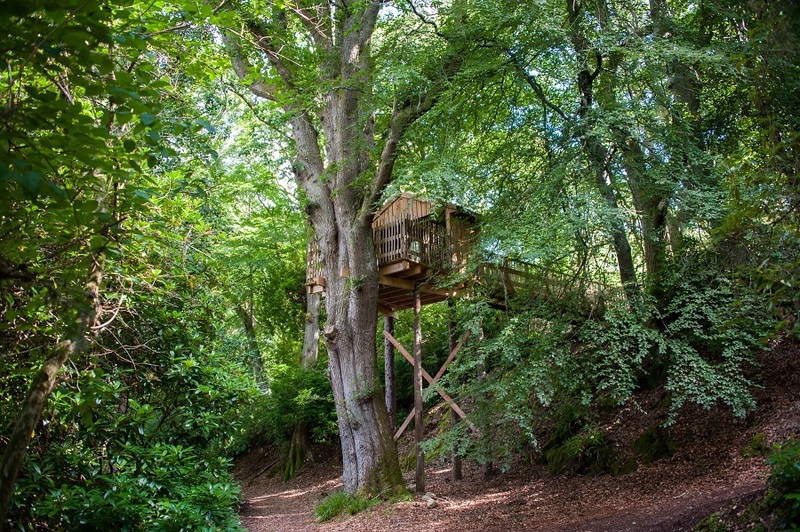 Children can enjoy the Estate as their own playground, making their own fun with adventures through private woodland, clambering around the recently revamped Aldourie tree house and playing hide and seek in the old family graveyard. 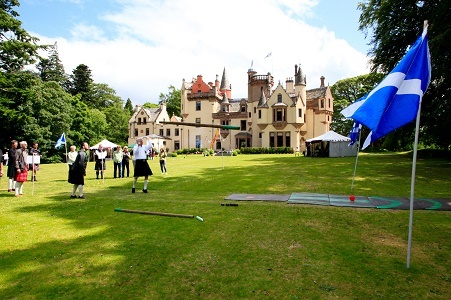 Ever wanted to host your own Highland Games day? Maybe it’s never occurred to you before but once you make your way through these large Castle gates you will suddenly want to try it; believe us. Highland Games activities in front of the Castle and on the loch banks make for a perfect family day outside in Scotland and an opportunity to get involved in the Scottish culture right on your doorstep. 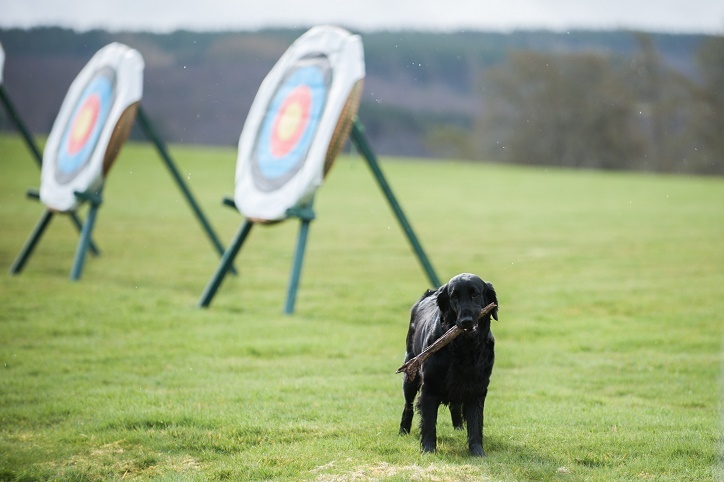 If you’ve never attempted archery on a hen or stag party weekend or even for a corporate activity teambuilding day, during your exclusive luxury stay in this private Castle is the ideal time to experience the Scottish sport. Archery in the parkland at Aldourie has been tried and tested for years by many a party of guests and corporate clients. Why not make it a light-hearted competition between family members – grown-ups V kids! 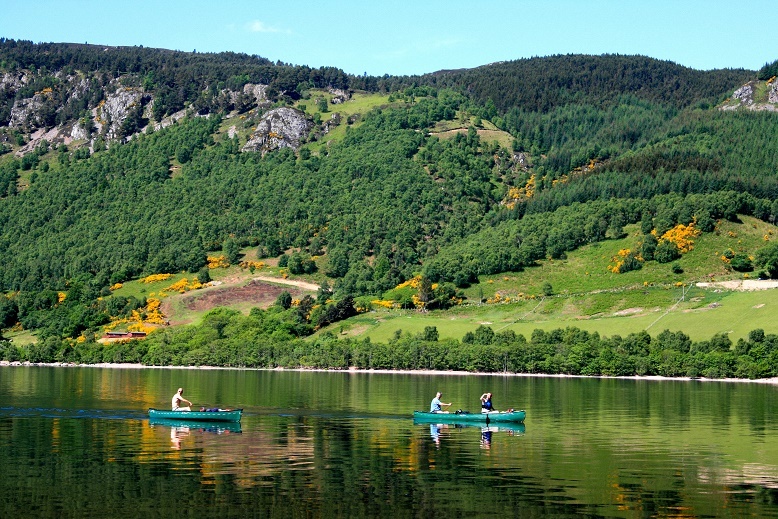 With a striking Highland backdrop to boot and lots of fresh Scottish air this fun-packed activity on our Loch Ness Estate is a brilliant opportunity to spend time outdoors during a family holiday in Scotland. If you truly want to experience the Highlands of Scotland then there is no other outdoor sport more countrified than clay pigeon shooting. 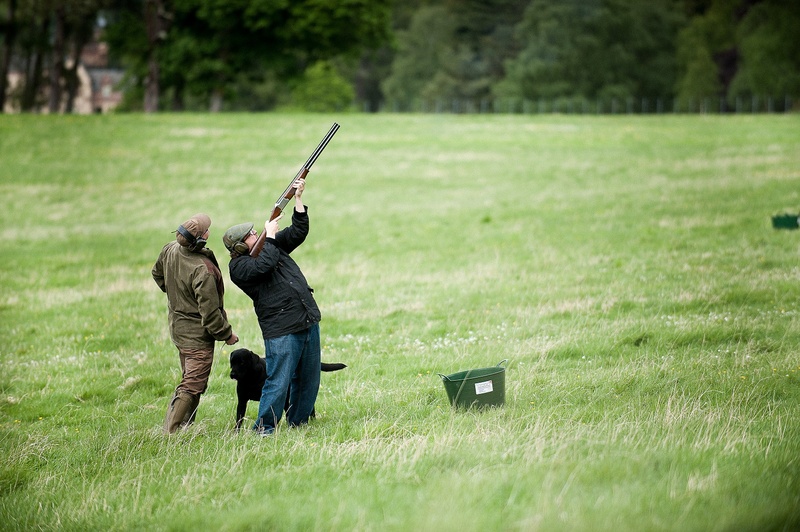 You can shoot anywhere on the Aldourie Estate with clays making this a really independent sport with the bonus of a stunning countryside backdrop. 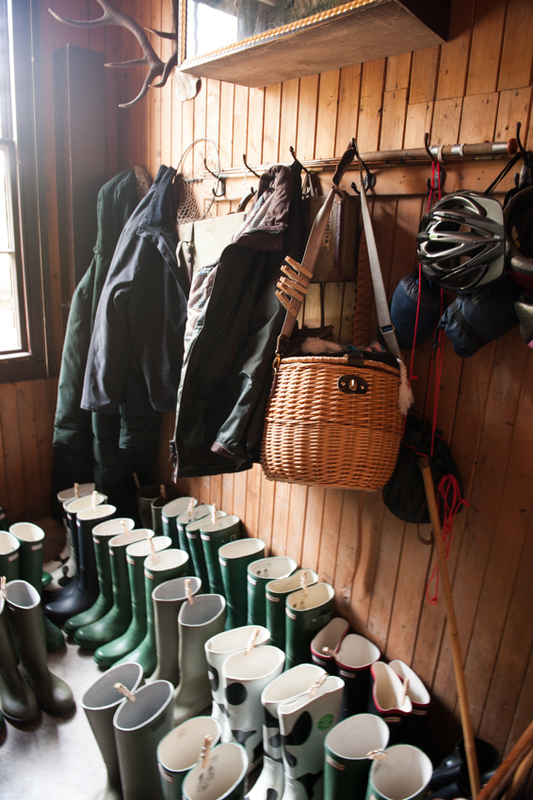 Get the country sports lovers of the family together for a spot of shooting on the Scottish Estate; take a wicker hamper filled with champagne and sandwiches and a couple of dogs to complete the look. 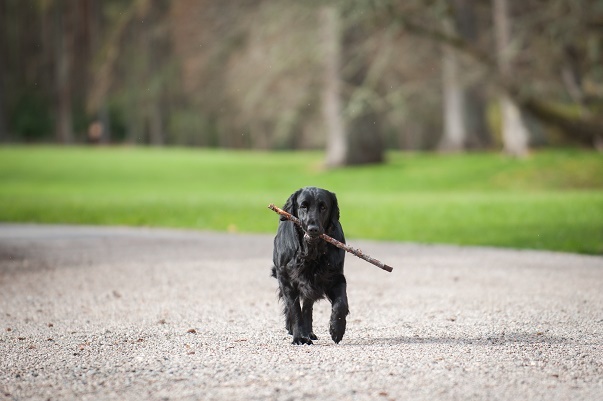 Aldourie Castle’s very own Loch Ness Lizzie is always happy to lend a hand – any excuse for a run around the 500 acre grounds in a Harris Tweed flat cap!  The real benefit of taking over an exclusive use castle or other property in Scotland as your own home is the fact that the grounds surrounding the private hire accommodation are at the disposal of you and your family during private house party stays or celebrations. No imagination is too wild, no demand too extreme. 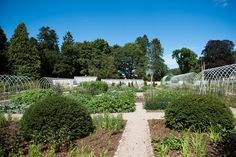 One of the best ways to experience Aldourie is through its wildlife which exclusive use guests and cottage guests alike will find throughout the Highlands Estate; from arboretum to the woods and of course, the beautiful formal gardens. Look out for our next blog post which includes more outdoor activities to be enjoyed by all the family in the private grounds of the only habitable Castle on Loch Ness. April 5, 2016 at 6:19 pm. 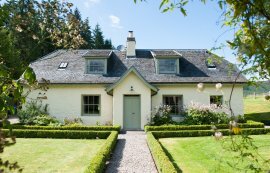 Are you thinking of taking the family on a short break or a week long holiday in the Scottish Highlands this year? 2016 could be the year you take your loved ones or a group of friends to one of the world’s most naturally beautiful countries to witness the great outdoors in all its glory and embrace simple living. What better time of year to holiday in Scotland than in the spring when the skies are as blue as the sea and the forests and woodland trees are starting to breathe once again…And, if you’re wondering where to stay in the Highlands why not book one of our idyllic holiday cottages on Loch Ness? 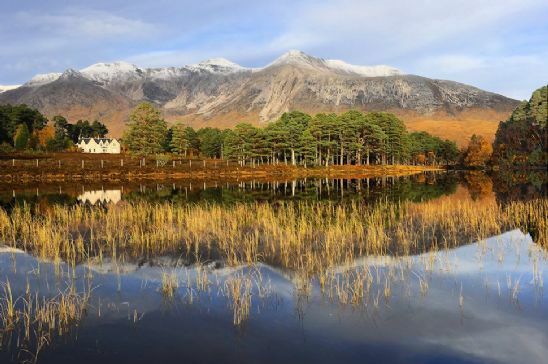 Here are just eight of the many reasons to take a trip to the atmospheric Highlands during some of the prettiest months of the year. Spring is a truly beautiful time of the year to visit the Highlands of Scotland for the clean, fresh air, and to see the many lochs of the Great Glen, the never-ending countryside and the mountain peaks at their best. 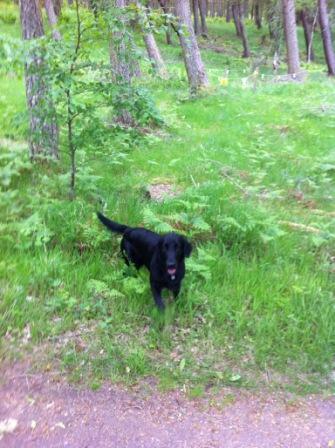 Try a few of the long or short walks through the Highlands or even book a cycling holiday in Scotland. Whether you are staying in a loch-side holiday cottage or camping up on the hills there’s no excuse not to venture far and wide on these long, light days and breathe in that Highland air whilst taking in the panoramic views over a flask of steaming coffee. 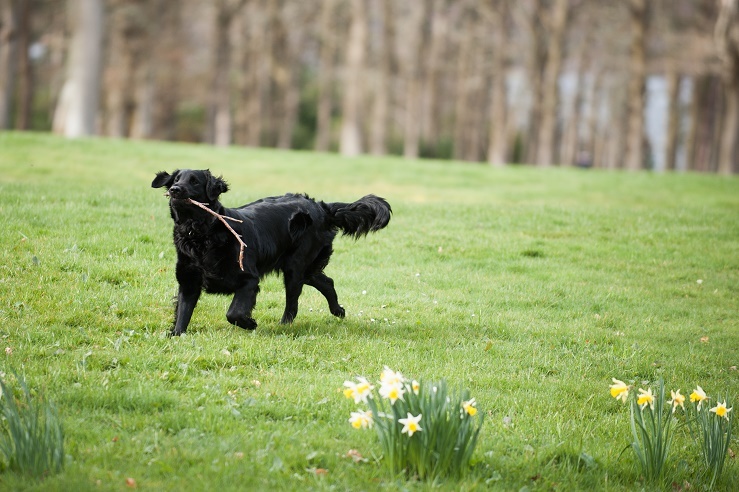 Spring is an ideal time for enjoying a range of outdoor activities such as walking or hiking the West Highland Way, cycling the Great Glen Cycleway, golfing at Castle Stuart and kayaking on Loch Ness. While holidaymakers have to look for enjoyment in other forms during the winter months the majority of sports and activities are in full swing again come the lighter, dryer days and longer hours. 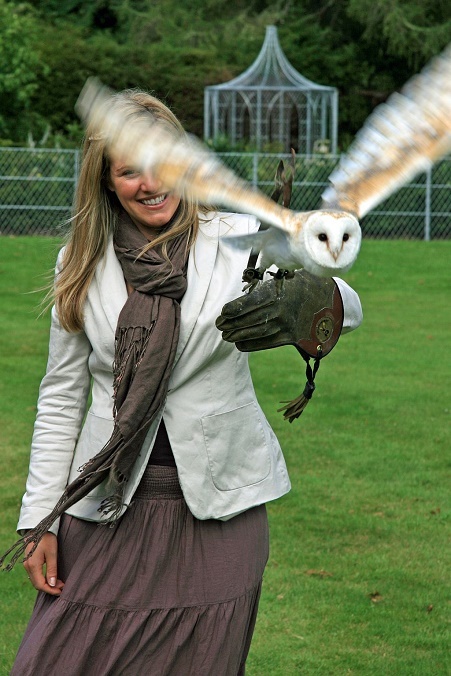 Make the most of what is on your doorstep or do something totally unlike what you would try at home – water-skiing on Loch Ness, pony trekking through the rugged Highlands or a falconry experience on a Highland Estate during an exclusive use stay in a Castle. 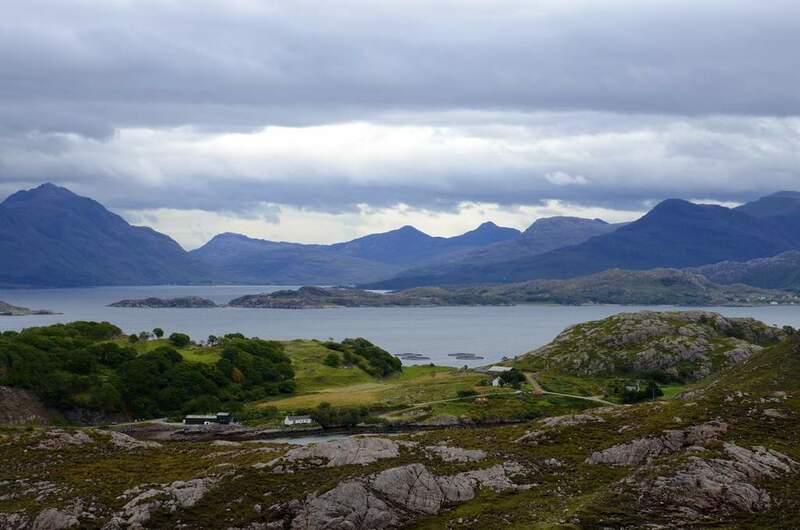 Scotland is well known for its rain but don’t let that put you off experiencing all the Highlands have to offer. Shake off those winter blues with refreshing downpour as you journey through the countryside in spring – you may be able to avoid a complete soaking in the dryer months but during April and May the possibility of showers can make a walk in the Highlands a real adventure. One minute you may be walking under a blue sky down a quiet wooded lane, the next heading to the nearest village to dry off in a cosy tea room. Just wait till the April showers have cleared and everything is glistening in the spring sun. Having said that about the occasional spring showers, the temperature in spring is very similar to that of summer with the added benefit that generally touristy places aren’t as packed out with people. Though it’s lovely to be in the throng of the summer action when the weather is on form it can be equally pleasant to acknowledge the stunning scenery of the Scottish Highlands and wander around cute little hamlets and towns surrounded by a calmer atmosphere. The festivals and events are less busy and there is a sense of peace presiding in places that can get swarmed meaning you can recognise the beauty of the Highlands at your own pace and usually in bright, warm weather. What’s not to love? And that’s not all; our next blog post will bring you four more reasons to enjoy the Highlands in spring. Best start planning your spring holiday or short stay in Scotland for 2016. July 1, 2015 at 11:30 am. The breath-taking scenery of barren land and mountainous peaks are a sea of greens, greys, blues and yellows – a real treat for the eyes, and the lungs. Get out into Scotland’s wilderness and explore the walking trails and hiking paths. Good short but scenic walks include Loch Ness, Glen Affric and the Black Isle and for the hiker in you venture up high to the Isle of Skye and scramble up the Black Cuillin mountains to experience much longer Scottish Highland hikes and some unforgettable views. The more you challenge yourself on your short break in the unpredictable Scottish Highlands the more rewarding your time in this beautiful, spirit freeing place will be. 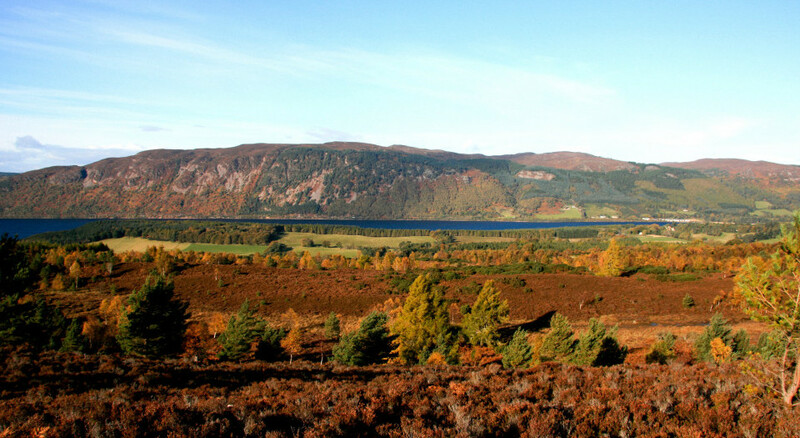 Some spectacular and impressive Loch Ness and Highland walks can be found at Hillwalk Tours and Walk Highlands. There are supposedly nine million bicycles in Beijing. There are a lot fewer in Scotland but in our opinion there is more beauty to be seen cycling through the Highland hills. Once a wooden framed, simply designed apparatus this piece of engineering art is now enjoyed by millions of people across the world. 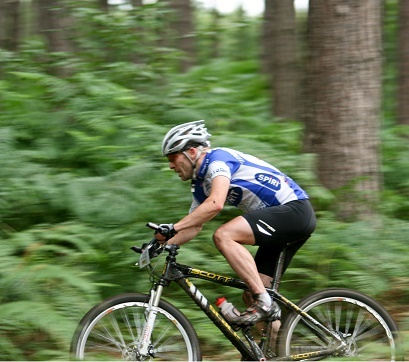 From the practiced competing cyclist to the family of four who just like to explore to the mountain biking enthusiast, cycling is becoming more popular by the day. You’ve either never been in a canoe before or you got the bug in your invincible teens and spent the rest of your life in one. Or, you were made to get in one for a corporate away day once – and “never again”. Well, in our book, canoeing holidays in Scotland are a great way to explore and discover the wilderness regions on the Scottish Highlands, its rivers and lochs. With literally dozens of helpful and informative websites on canoeing in Scotland, you can take your pick of these experienced organisations from basic canoe paddling with Explore Highland to adventure loving Wilderness Scotland. The famous Great Glen Canoe Trail takes you along the Caledonian Canal from Aldourie Castle’s nearest town, Inverness, to historic Fort William, full details of which can be found at our local tourism website. 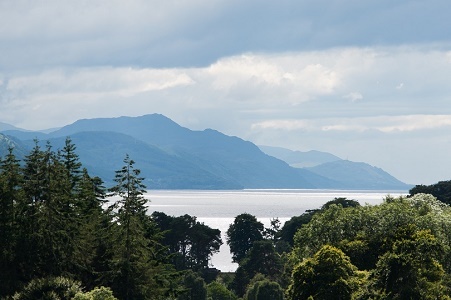 One of the most incredible things about a week or a fortnight staying with your private party at Aldourie Castle and Estate is the close proximity to the water’s edge of Loch Ness. Not only do the beautiful Highland grounds lead into woodland for you start off any of your walks or hikes above but it also features its own marina and private pier on the famous lake ideal for boat tours on Loch Ness. Our Castle guests can board any type of boat from the pier from speed boats to the Nessie Hunter to canoes and even water zorbs for the kids. 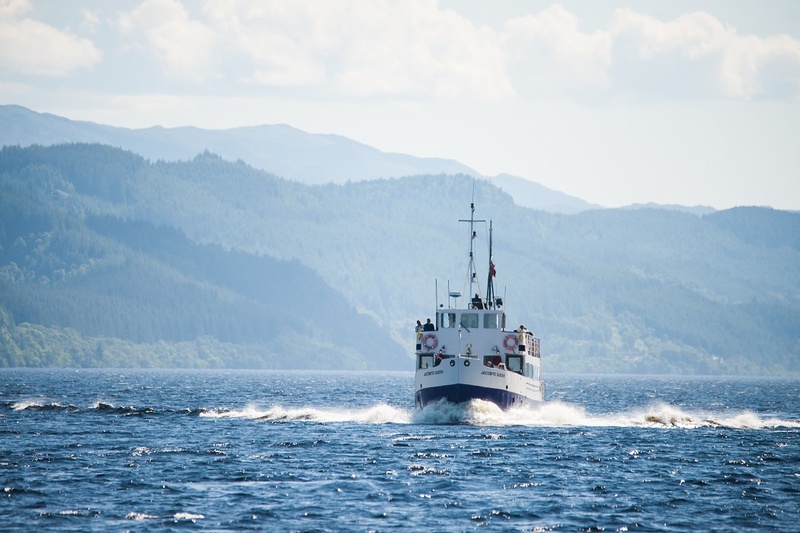 But one of our favourite things to do on Loch Ness in the Scottish Highlands is take a boat cruise from Fort William or Inverness and take in the history, facts and folklore of the vast lake and let its mystery and mesmerising beauty calm your soul and take you into another world. 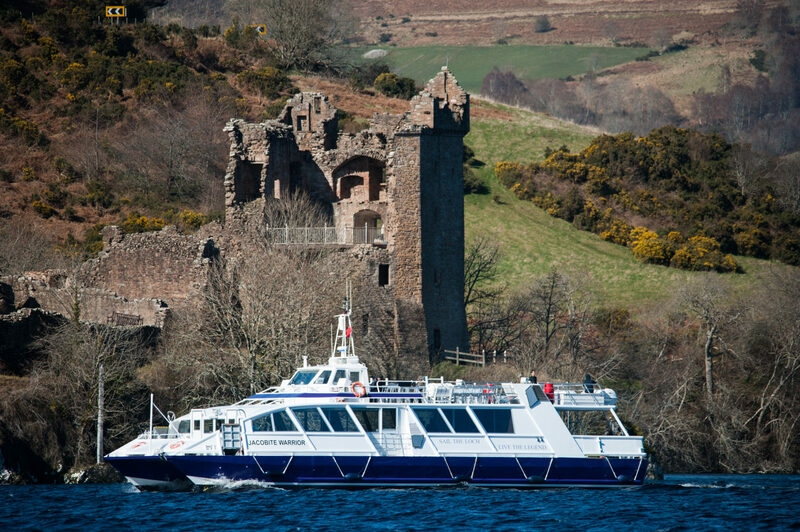 To find a boating tour on Loch Ness to make the most of your holiday in Scotland take a trip with Jacobite Cruises and Tours which go past Aldourie Castle and Urquhart Castle or Loch Ness Cruises in Drumnadrochit. 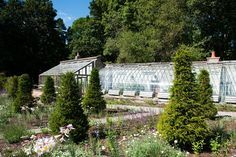 Whether you’re planning a week long cottage stay in the Scottish Highlands or opting for exclusive use of a beautiful and luxurious private hire property such as Aldourie with its own Highland grounds, Scotland caters for all. This should leave you filling your Loch Ness holiday itinerary until Part 2 arrives for details on Whisky making tours, Nessie hunting and more.